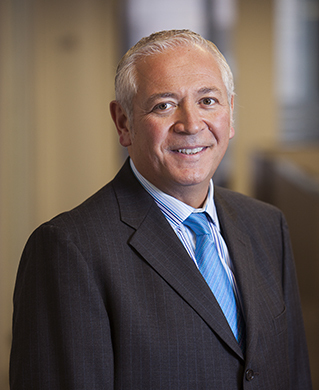 Roger Corrado develops and manages new investment advisory client relationships for Ingalls & Snyder in partnership with Joseph Murphy. He joined Ingalls & Snyder in 2015. Roger began his financial career trading agricultural commodities in the pits of the New York Board of Trade (NYBOT, now known as ICE Futures U.S.) on behalf of Dean Witter and Merrill Lynch. He subsequently founded his own commodities firm and became a significant trader of agricultural commodities as well as oil and precious metals. Roger’s leadership skill and industry knowledge led to his selection as Vice Chairman of NYBOT and Chair of its Executive Committee. In this capacity he played key roles in NYBOT’s governance, public relations, and in its ultimate acquisition by the Intercontinental Exchange in 2007. Roger has been a frequent guest on financial television news shows offering his commentary on the commodity markets. Roger has been enthusiastically engaged in many charitable and community initiatives including the NYMEX/CME Charitable Foundation, the St. Francis Breadline, Futures & Options for Kids, Say: The Stuttering Association for the Young, and Building Homes for Heroes. Locally, he is the Vice President of the Hoboken YMCA, mentors at St. Anthony’s High School in Jersey City, and coaches basketball at Hoboken Catholic Academy. Roger resides with his family in Weehawken, NJ.